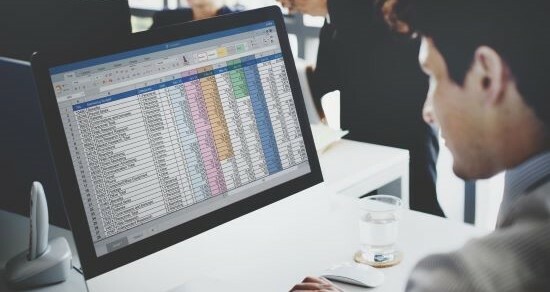 Stop Using Excel for Managing your Customer Data! There’s no doubt that Excel is one of the most ubiquitous pieces of software in the world. And Excel is great for crunching numbers and data. But unfortunately, through force of habit, it can often lead to companies and individuals using Excel for unsuitable tasks. Indeed, history is littered with Massive Blunders, and data breaches caused by Excel. In this new era of GDPR, Excel simply isn’t a suitable application for housing your Customer Data. While this may seem obvious to many, it is also equally the case that many companies, particularly small businesses, are still using Excel for managing their customer data and interactions. Why not? Well, to start with, it’s not secure, it ‘breaks’ easily (especially if you have a lot of data in it), it causes time wastage (duplication of entry, manual entry), the data in it goes out of date quickly, it nearly always leads to multiple versions of the same document and it doesn’t integrate well with your other applications. You should instead be using a proper, built-for-purpose solution for managing your customer data i.e. a CRM. Secure – provides login gateways hierarchical access and ISO certified security that protects the access to your data in a way achieves GDPR compliance – including automating the opt-in and opt-out process with contacts, a key part of ensuring GDPR compliance. Easy to use – you don’t need special training. It is intuitive, and easy to use – in fact Freshsales itself is listed as one of the easiest to use CRMs available. 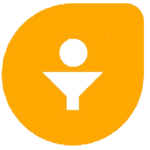 Automated – you can easily create workflows to automate tasks (not even just repetitive ones), including email notifications to you of what is important to see, and automatic task setting. Tracks Emails – you can see when your contacts open emails, click on links, visit your website, and therefore optimise your knowledge on your customers interactions with your information and when you should reach out to them. Integrated – Freshsales has ‘native integration’ with many applications, including Mail Chimp, Office 365, Google, Hubspot, Quickbooks and many others, to help ensure that your visibility is maximised whilst minimising the clicks and work you need to do to do your job. Mobile Apps – use your CRM on the go, update and view records and information easily through Freshsales mobile applications. Customisation Friendly – create custom fields, dashboards, reports, pipeline views, notifications – Freshsales can be customised very specifically to your individual and company needs. Low Cost – the automations and efficiencies listed above dramatically reduce costs compared to using the inefficient Excel application. In addition, Freshsales pricing start from free use to an entry level pricing of just €10 per month.